About the Book: Laughter is like free health insurance: you can't get too much of it. This book will give you enough laughs to boost your health. It's filled with delightful entertainment. Without commercial interruption! Gundarland is populated by humans, dwarfs, elves and other races; it's the backdrop for unique adventures, brilliant heroes and cunning villains. There are six short stories and two novellas in here. All are new. You'll meet some of Shakespeare's most famous characters, a warrior-cook, vigilantes, a trio of beautiful, lusty princesses to mention just a few of the memorable characters in the stories. 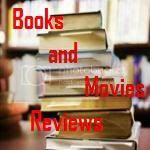 Romeo and Juliet: Romeo, a dwarf miner, and Juliet, the elfin daughter of a rich gem merchant, have a rocky courtship because Juliet's brothers are avowed enemies of Romeo's family. Chasing Dreams: This novella tells the story of twin yuk brothers on their journey from strong-armed thugs to highway robbers to bawdy house owners to politicians. The brothers are plagued and harassed by vigilantes. Boggerts Blue: A warrior-cook seeks to rescue a kidnapped princess. She refuses to be rescued by someone who isn't noble-born. The Big Bang: A wizard has to eliminate a dragon and his minions. Along the way to complete his mission, he is tested by a shape-changer and a pair of trolls. The Queen's Hero: This novella is about a young tinker-warrior as he struggles to save his Queen from a pirate admiral trying to overthrow her and become king. The Queen's three beautiful daughters have their own plans for the young hero. Merchant of Venison: A dwarf butcher borrows money to help his best friend and soon regrets it. The dwelf money lender has bloody ideas about the default payments. Inter-Racial Musical Playoffs: A few greedy wizards attempt to fix a musical competition. Other wizards try to protect the band leader who is favored to win the competition. Tactical Surprise: A general develops unusual tactics to defeat a rebel army. The enemy leader is a close family friend making the general's decisions more difficult. About the Author: Award-winning author Hank Quense lives in Bergenfield, NJ with his wife Pat. They have two daughters and five grandchildren. He writes humorous fantasy and scifi stories. On occasion, he also writes an article on fiction writing or book marketing but says that writing nonfiction is like work while writing fiction is fun. 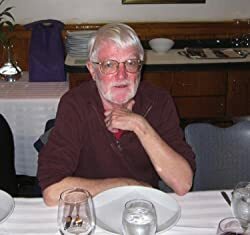 A member of the Science Fiction Writers of America, he refuses to write serious genre fiction saying there is enough of that on the front page of any daily newspaper and on the evening TV news. His most recent project has been to write a series of books to explain the publishing and marketing processes involved in self-publishing. There are four books in the series. He decided to stop work on a novel to spend almost all of 2013 writing the Self-publishing Guides. His motivation was two-fold. One was to dispute all the nonsense he saw on the internet claiming that self-publishing is easy; all you have to do is upload the file. His second motive was to warn inexperienced self-publishers about the scammers and sharks who swarm toward new authors with offers to provide "help" in publishing and marketing a book. He loves to write parodies of famous works. A recent novels is Falstaff's Big Gamble which he describes as "Shakespeare's worst nightmare. It takes two great tragedies, Othello and Hamlet, and turns them into comedies set in a fantasy land. His Wotan's Dilemma is a parody on Richard Wagner's Ring Cycle of operas. Instead of taking place in the Dark Ages, Wotan's Dilemma is set in the future with fantasy creatures replaced by aliens. Hank often lectures on fiction writing, self-publishing and book marketing. My Review: Mr. Quense nails it again. In this new book he comes with 8 stories, one more creative then the other. Hysterical. My favorite is the last one, Tactical Surprise. The end of the story is delicious. I loved it! I have been following this author for a while and having read most of his books I can say that he is a master of satiric humor. You have to read his stories slowly and savor every subtle humor. It will light up your day. 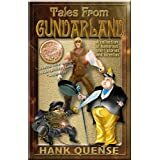 His characters are taken from Shakespeare and fairy tale stories and they are placed in a new world called Gundarland. With very fruitful imagination, the author creates situations that will make us remember the real story, but with twists very particular to his style. I recommend this book to the permanent library of any reader who is up to a good laugh. Very well written book, it will keep you entertained for hours.